Beau Lifestyle: Childrens art - what to do with it? 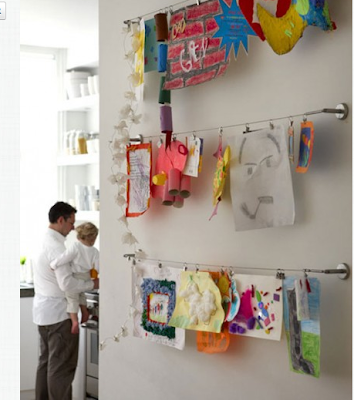 I found this such a neat idea to hang up all the drawings and kids art that parents may have wandering in their houses. 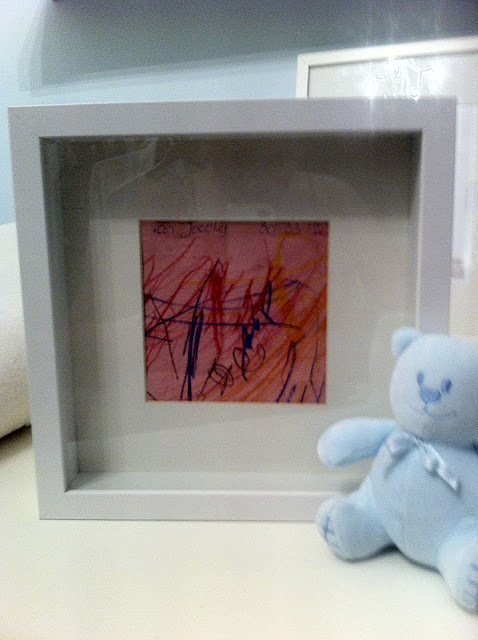 This is a drawing that my best friends daughter made for Matteo, I framed in an Ikea shadow box.